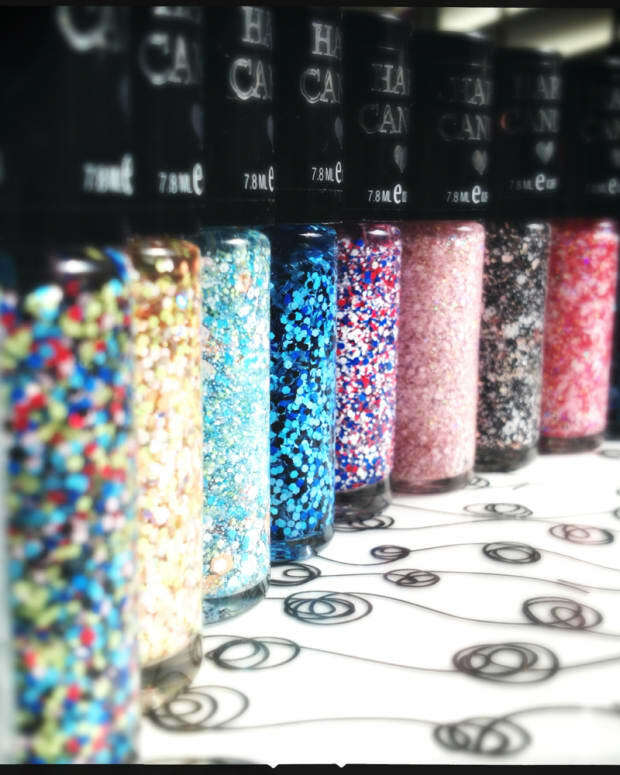 COLOR CLUB NEON POLISHES X 6 FOR JUST $10. WAIT. WHAT? Originally released in the summer of 2011, this Color Club Neon Starry Temptress collection is still available in a bunch of different places. I got mine yesterday. For $9.99. Is the Color Club Neon set a good collection? Sure. Is it worth $9.99? You betcha. Do I feel lucky? Here, lookit my pictures and you decide. 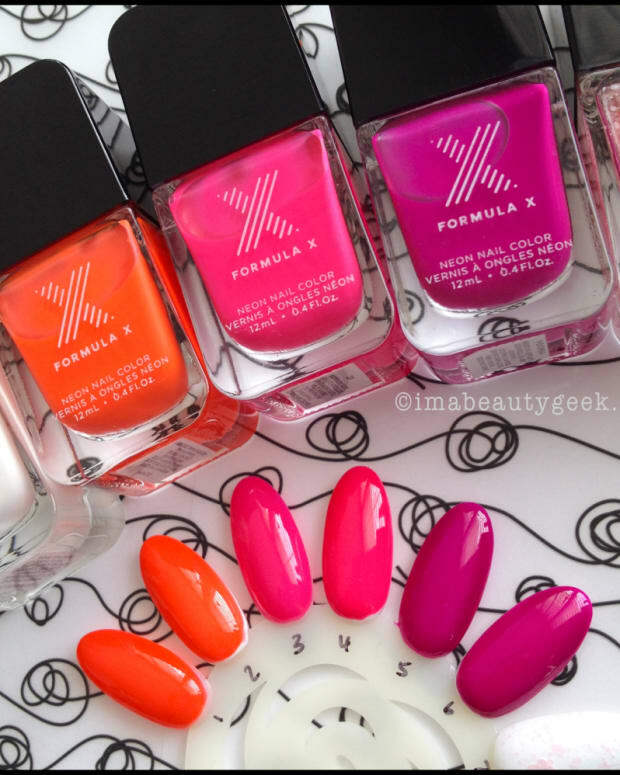 Consisting of 6 neon shades, this collection also includes the Color Club Neon Starry Temptress Top Coat which is also jammed with reflective and holographic glitter. I’m not a fan of the top coat and much preferred to use my Sally Hansen Big Shiny Top Coat to make everything glassy (and smooth out the glitter bits from the color coat). If you pop out to Winners right now, you might get lucky and score your own Color Club Neon Starry Temptress collection for a mere $9.99. If you’re not so lucky and can’t make it, you can also order one online from NailPolishCanada.com ($40CAD) or from ShopColorClub.com ($48USD). They’ve changed their logo ‘n stuff so I’m betting if you keep a look-out for it in your T.J.Maxx or your Winners stores, it’ll pop up sometime soon. Mine looks just like this. Happy hunting! P.S. 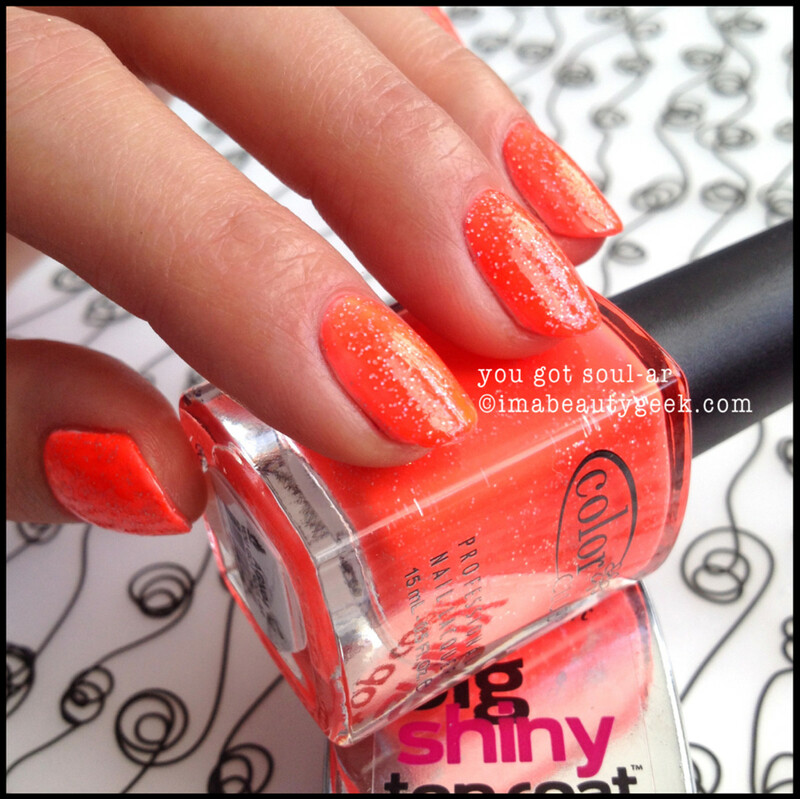 Want more neon? 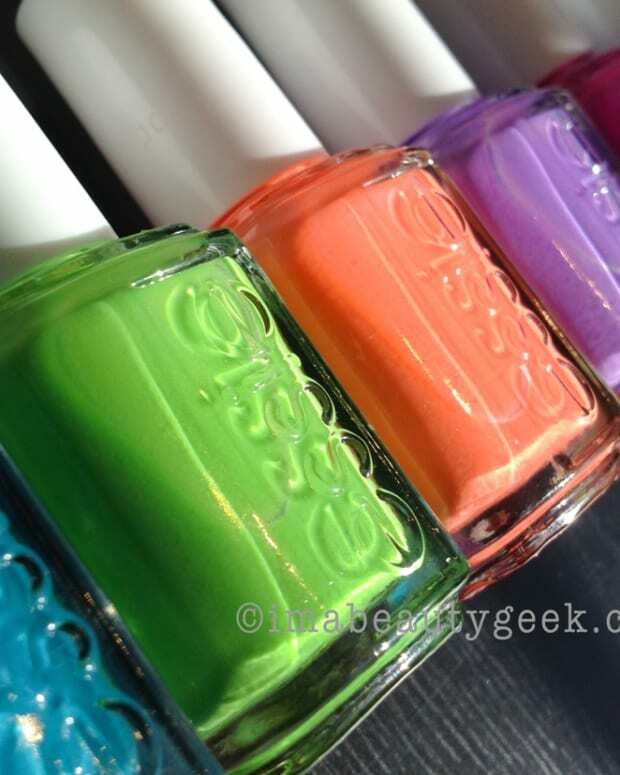 Our OPI Neon 2014 swatches are here & our Essie Neon 2014 swatches are here.